My practice is a therapeutic, clinical, medical massage practice. I am trained in deep tissue, trigger point, myofascial release and a certified practitioner of Erik Dalton’s Myoskeletal Alignment Techniques. Massages are tailored to the specific needs of each client. I’m in the business of resolving problems and relieving pain. My goal is to have clients see me less. Let me explain. If I’m doing my job properly your symptoms are getting better and if you are exercising and doing some retraining exercises I may give you, you will get better and need to see me less. You will see me for maintenance not out of necessity because your problem will have gotten better. Realistically this is more challenging when there has been tissue or nerve damage or there is an autoimmune disorder such as rheumatoid arthritis or structural change as in scoliosis. But even in these situations many of my clients get relief from pain and see improvement in their condition. In my experience while clients appreciate the titles and training a practitioner has since it demonstrates knowledge and commitment all the client really wants is relief from their pain... physical or emotional. I ended up in the healing profession because of my own journey to heal 30 years of chronic neck and back pain. When traditional medicine failed me I eventually turned to "alternative" medicine which I now refer to as "preferred" medicine. My ordeal of living with pain that others couldn't understand or thought was in my head has enabled me to better understand from a client's point of view the frustration and hopelessness they feel. My goal is to use every tool at my disposal from body work to energy healing to assist the client's healing process. The patient is the real healer, I am just a facilitator. 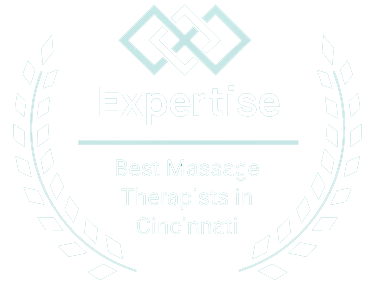 Located in Cincinnati, Steve Botuchis is a Licensed Massage Therapist in the States of Ohio & Kentucky, an Acmos Practitioner a Certified EFT Practitioner (EFT Cert-1) and also a KST (Koren Specific Tecnique) practitioner. "EFT is a very flexible improvement tool that can be used for just about everything. Steve uses his version of it and has had extraordinary results improving physical pain as well as a variety of emotional issues. The original version and complete training can be found at www.emofree.com. Acmos, KST and EFT provide impressive physical and emotional freedom in many cases when nothing else works. Fears, phobias, anxieties are often dealt with quickly and painlessly. 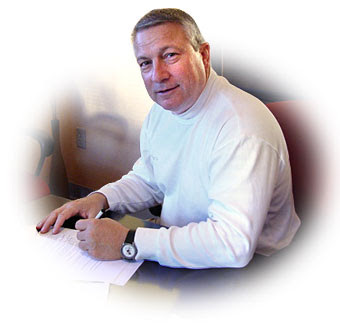 Steve received his massage therapy license from the State of Ohio in 1999 & Kentucky in 2001. Steve is also trained in Myofascial Release (MFR) and has taken MFR workshops from John Barnes and trained directly with John in his Sedona, AZ clinic. Steve is also certified in multiple categories of Myoskeletal Alignment Techniques developed by Erik Dalton. Myoskeletal Alignment is a system of realigning upper and lower body to achieve optimal posture and pain free movement. The days of chasing pain are over! Steve is one of only a dozen ACMOS practitioners in the United States and trained in Europe with Rene Naccachian the founder of ACMOS. ACMOS is a unique form of "acupuncture without needles" that balances the body's energy system. Steve is also a highly skilled practitioner of EFT (Emotional Freedom Technique). Steve has mastered the training DVD's and attended numerous live workshops hosted by Gary Craig founder of EFT.